2014 was a big year of growth in my quilting life. I started to define my quilting style more, trying to stick with the principles of “simple and stunning.” But I also tried to learn as many new skills as I could. While I learned a lot about precision, I didn’t make it all the way through my Skill Builder course (thank goodness you get the whole course as a pdf at the end). But I did learn how to sew curves by taking a leap of faith and following a magazine how-to. I loved them so much that many of this year’s quilts feature them, and I taught a Quarter Circle class three times! I also got to go to SewDown Nashville and take classes with some of my quilting heroes– Anna Maria Horner, Angela Walters, Victoria Findlay Wolfe, and Carolyn Friedlander. On the teaching front, I had a lot of wonderful firsts. In addition to starting the Skill Builder classes at my local fabric shop Rock Paper Scissors, I got to teach a full-day Quilt Camp in August (the sample is included in the quilt round-up) and a two-day class at the Montclair Art Museum in October. I published a walking foot quilting tutorial at Sew Mama Sew and was so honored to be included in their “My Favorite Quilt” series. I also made two quilts that ended up in the Cloud 9 Fabrics Quilt Market booth. I love those people and the beautiful fabric they make. I entered quilts in my first ever show in the Warwick Valley and get to send one to the show at Quiltcon. Most importantly, I connected with so many kind and talented quilters through the North Jersey MQG, this blog and Instagram. You all are so great to have for company in this solitary pastime, and I look forward to continuing those relationships (and meeting some of you for the first time in Austin in February!). Now, on to the quilts! This year, they were either baby-sized, mini-sized, or nearly twin sized! There are 14 in total. If you click on the photo, it leads to the finished quilt post. There is so much to look forward to in 2015– I have big plans for the blog, for myself and for Quiltcon! I had hoped to publish some digital patterns, but put that on hold until I do more research into the VAT situation in the EU and do a little bit of fun branding work. I’ll be keeping you updated for sure. Your quilts are all so unique and so beautiful! 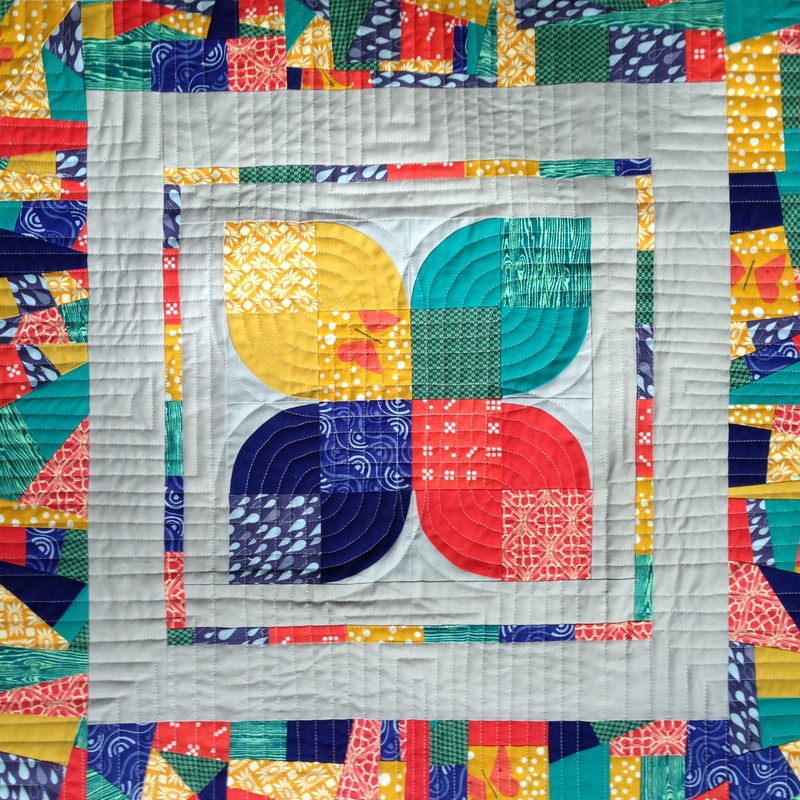 I’m so glad we met this year–quilting has changed my life!! Happy New Year! Amazing collection of quilts! Can’t wait to see what you do in 2015! A collection to be proud of. Congratulations on all you’ve achieved this year, and I look forward to seeing what you have for us next year. Beautiful collection of quilts to be proud of!!! What an awesome year of quilting!